Bob Erb may represent definitive proof that potheads don't care much for money. 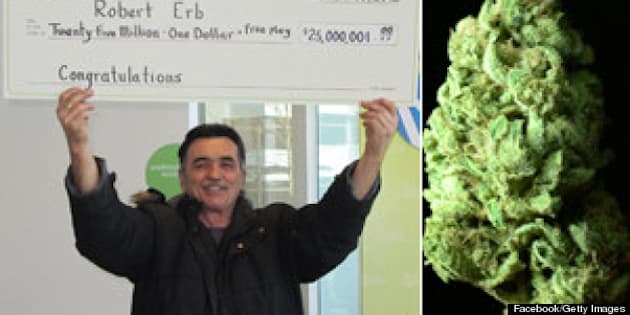 Erb, a long-time marijuana activist from B.C., won a $25 million Lotto Max jackpot late last year and has already given much of it away, including $1 million earmarked for the promotion of marijuana legalization. Erb (yes, he's aware of the fact his name rhymes with herb) told the National Post he has smoked 15 joints per day since the 1970s. His habit isn't keeping him on the couch though. Erb told the Post he spent well over $100,000 this year to organize events celebrating marijuana's unofficial holiday, 4/20. That spending was evident on Saturday as thousands gathered on Parliament Hill in Ottawa to get high and rally for the legalization of pot. Legal marijuana isn't the only charitable cause Erb is interested in. 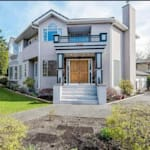 The pot activist told the Terrace Standard he's donated roughly $7 million to various causes since winning the lottery, much of that in Terrace where he lives. But Erb, who ran for the B.C. Marijuana Party in 2001, still clearly considers marijuana activism to be his most important endeavor. "Prohibition is the biggest social injustice of my lifetime," he said to the Post.